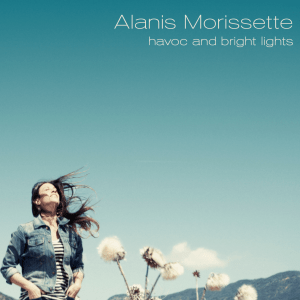 On Alanis Morissette’s first release since ending her 13-year tenure with Maverick Records, the singer-songwriter (and sometimes actress) teamed up with co-producers Guy Sigsworth and Joe Chiccarelli on Havoc and Bright Lights with winning results. Obviously, being freed from the restrictions of a long-term recording contract has propelled Morissette into a euphoric ataraxia, which comes through loud and clear throughout the 52-minute set. The former queen of pain is now a devoted wife and mother, but that doesn’t stop Morissette from intermittently cranking up the fuzz of electric guitar when necessary, most notably on the crunchy and chaotic “Numb” and lead-off single “Guardian” (easily her most melodic tune in years). Morissette’s poetic discourse of intimately describing her feelings still abounds, but is elegantly emoted here with cool restraint. Her mezzo-soprano pipes and songwriting continue to improve with age, like an uncorked bottle of Bordeaux hidden away for a special occasion. Unavoidably this, like all of Morissette’s work, will unfairly be compared to her epochal Jagged Little Pill, but Havoc and Bright Lights is just as intelligent and inspiring in its own way. Kudos should be given to Morissette for continuing to move forward instead of merely trying to duplicate musical ghosts from her past. Bonus tracks:”Big Sur,” “Guru” (featuring Morissette’s husband and rapper SoulEye) “Tantra,” and “Permission” are worth seeking out. 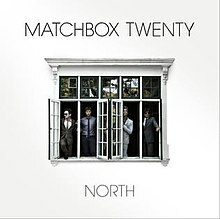 After teasing anticipating fans with the mediocrity of lead-off single “She’s So Mean” (which confirmed trouble was afoot with the group’s latest effort), Matchbox Twenty’s first proper full-length since 2002, North, has finally landed. After waiting a decade to follow up the radio friendlyMore Than You Think You Are, we find ourselves wondering if this really is the best Rob Thomas and crew have to offer following a 10-year hiatus? Still, North does manage to produce a few brief moments of promise (the brooding opener “Parade” and the picturesque “English Town”), but it mostly smacks of a desperate attempt at a comeback, blatantly rehashing trite lyrics and the bathetic emotionalism of Rob Thomas’ solo efforts. North seems destined to forever relegate Matchbox Twenty into the next generation of unremarkable dad rock.